A new kitchen is in our foreseeable future (to check out all the details thus far, click here), which means I have been collecting inspirational images for quite some time! Get comfy - there is a lot to go through. These first couple images are from my personal archive. Photos I've torn from various magazines over the years - so old I can't even begin to remember where they came from. Love the neutral pallet. 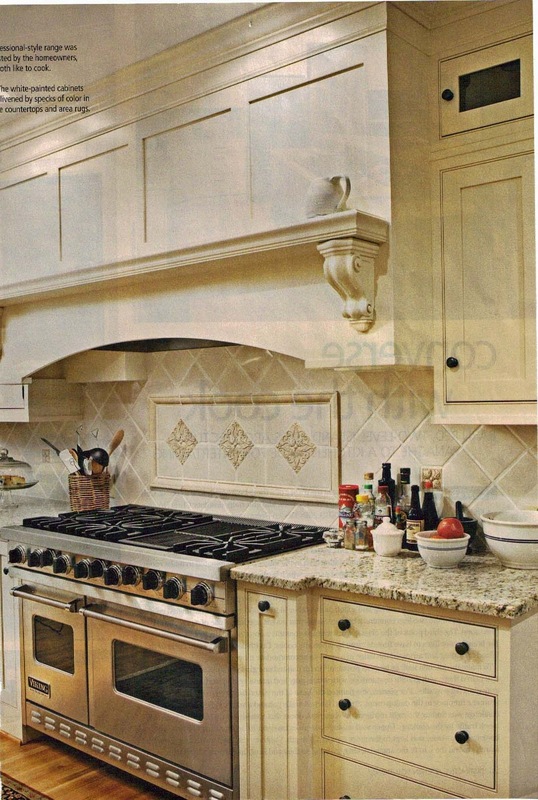 And the mantel-like range hood. Love the warm wood accents in the range hood and the cabinetry. Love the skirted farmhouse sink as well as the warm wood accents! 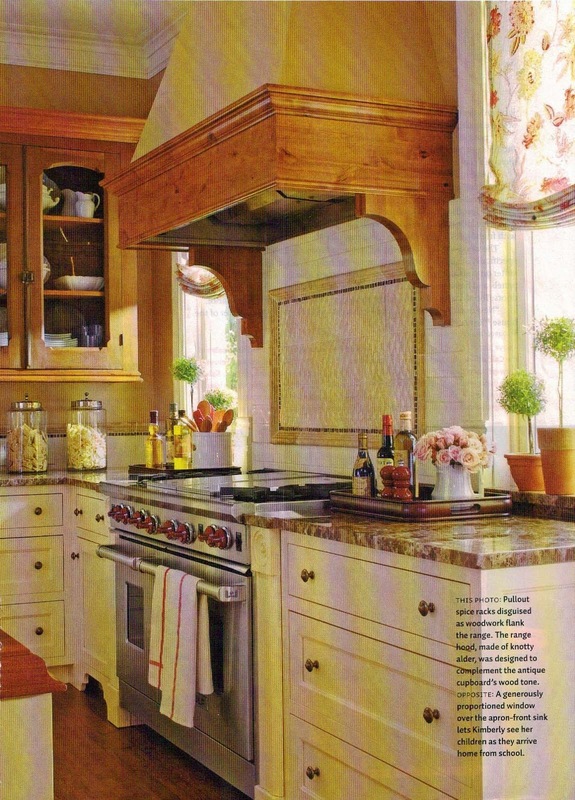 I love everything about this image - warm, yet neutral cabinetry, floor and counters. Not to mention that stove! Wish I had the guts to pull something like that off. And don't even get me started with those beams! 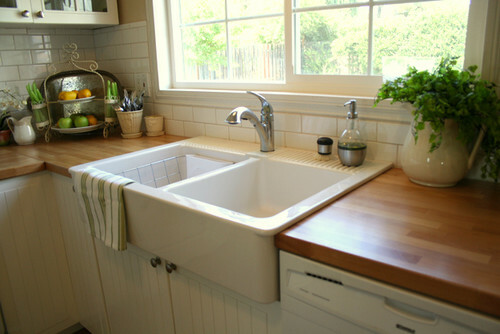 Love the farmhouse sink coupled with the butcher block counters. Although I wonder about all that wood next to the water. 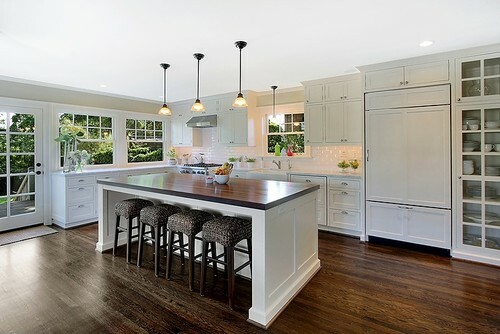 I'd like to incorporate butcher block counters in my kitchen, but not next to the sink or stove. Love the floors in this image. 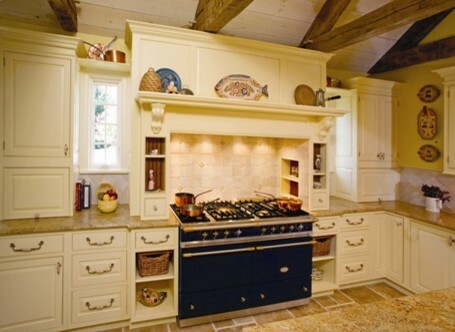 Love the built-in appliances in this one. They give it a really seamless look. 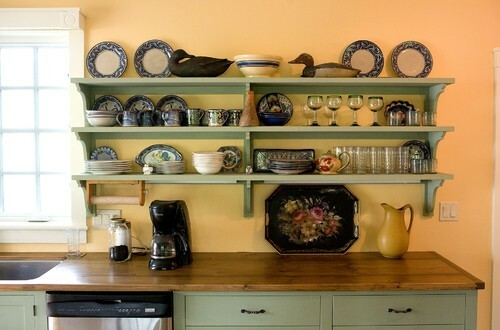 I'd love to incorporate some open shelving for display and storage into my kitchen. 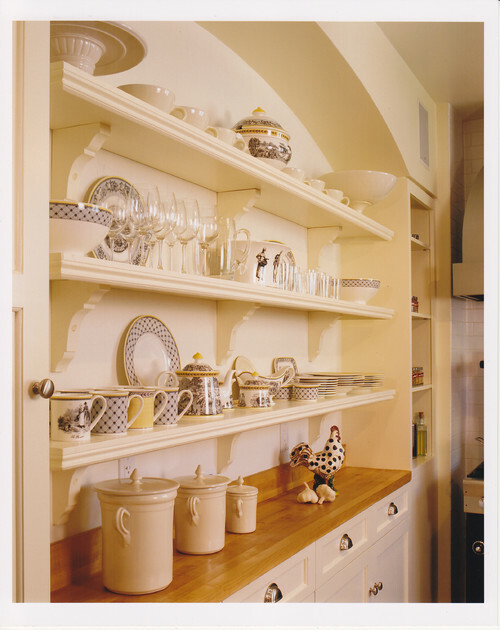 I'd also like to incorporate corbels, either as shelf or cabinetry support - I think it would really reinforce the farmhouse look. Well, I think that about covers it for now. I feel inspired and I hope you do too.